During her annual State of the State Address, New Mexico Governor Susan Martinez commended legislators from both parties who “have chosen to make tough decisions” and “resisted taking the easy way out” by choosing to reign in government spending rather than increase taxes throughout the current budget crises. 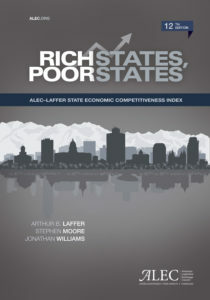 The governor identified the “cause of the crisis” as being “at the mercy of the federal government and an unpredictable oil and gas market.” She correctly noted New Mexico has “been among the top five most dependent states on the federal government.” Although those may be the two immediate causes of the crises, other factors are to blame for the sluggish state economy and fiscal situation. Latest numbers from Census Bureau (2014) do show New Mexico as fourth most dependent on federal dollars at nearly $2,600 per capita—more than $800 above the median. However, total expenditures in FY 2015 of $8,209 per capita dwarfed the national median by more than $2,300 annually,or approximately 40 percent, according to Kaiser Family Foundation . Each of the five surrounding states (Arizona, Colorado, Oklahoma, Texas, and Utah) spends between 23 percent and 48 percent less per capita. This suggests that responsibility for budget crises stems from overspending in general, rather than a reduction in the number of federal dollars. The governor also placed blame for economic difficulties on the bust in energy markets. Of course, the decline in revenue and jobs growth related to the energy sector has been a comparative disadvantage on the economy. The governor noted the loss of “over 11,000 oil and gas jobs” as prices plummeted. But the energy bust is not entirely responsible for lackluster economic conditions in New Mexico. For example, Oklahoma produces two times the amount of natural gas (in 2015) as New Mexico and approximately 4 percent more oil (as of October 2016) with a population approximately twice (89 percent more) that of New Mexico. Yet despite this large energy component of the economy, Oklahoma managed to gain in domestic migration in three of the past four years, ranks 16th in economic outlook and achieved 5th place in economic performance. In short, it’s not that things in New Mexico are getting worse—they’re just stuck in low gear. 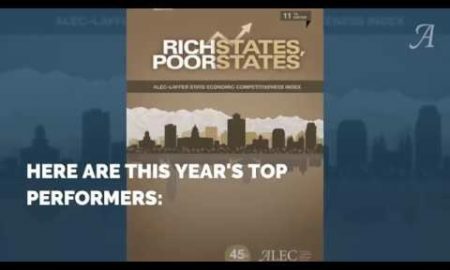 According to ALEC’s Rich States, Poor States, economic performance remains in the bottom third of all states; economic outlook is stuck at 34th place nationally, just one spot better than back in 2010. This lackluster outlook persisted during the energy boom years of 2010-2013. In fact, from 2004-2014, only ten states had lower gross domestic product growth than New Mexico. It’s no surprise that the state experienced negative domestic migration in 2016 for the fourth consecutive year in a row. So what can be done? The governor accurately says “there is a way forward without raising taxes on hard-working New Mexicans.” She should certainly be commended for opposing legislation which would have delayed the implementation of the lowered corporate tax rate of 6.2 percent (part of a 2013 tax reform package). The governor also advocated for using “funds in idle accounts that can be swept” along with seizing the opportunity to “modernize the tax code, eliminate loopholes and make government smaller and more efficient.” She also pointed to the bloated bureaucracy with “twice as many agencies as the federal government.” In fact, the New Mexico government employs more people per capita than 42 other states. At the same time, Martinez touted the cronyist Local Economic Development Act (LEDA) which dishes out public money to politically favored private entities. The governor claims that “for every $1 million of LEDA we spend, private businesses invest $16 million. And, when you take into account the construction, wages, taxes and other economic activity around new businesses, every LEDA dollar we spend brings back 20 and 30 times that.” But as Paul Gessing of the Rio Grande Foundation stated to Watchdog.org, “Our view is that taxing productive economic activity and transferring it to some new player is inherently unfair.” For instance, New Mexico taxpayers will cough up $10 million this fiscal year in capital outlays for Facebook building construction in Valencia County. Politicians enjoy claiming credit for these very visible projects, but this wealth left in the hands of those who created it could have generated additional economic growth more efficiently. Rather than advancing market-distorting cronyism, legislators should pursue meaningful broader reforms. For instance, the tort system in New Mexico is in the bottom 6 nationally. Being a forced union state does not help either, especially when surrounded by many right-to-work sates. And workers compensation costs remain elevated at nearly 2 percent of payroll. 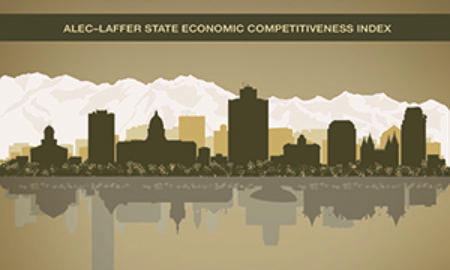 The governor’s agenda is a start; but tackling these issues head-on could significantly warm the economic climate for job creators of all stripes.